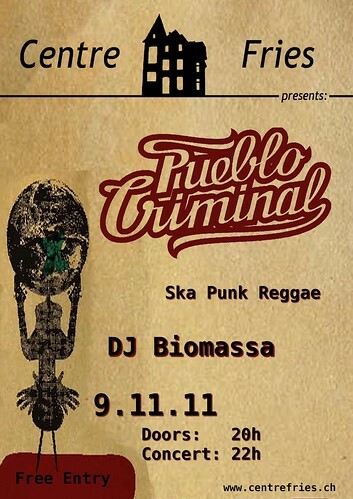 Pueblo Criminal at Centre Fries, for the first time across the Röstigraben on November 9th! One day after the gig at the Mascotte club in Zurich on the 8th of November, the Pueblo family will be defently warmed-up and hotter than hell to rock the legendary Centres Fries in Fribourg! Nous nous réjouissons de vous voir!! !